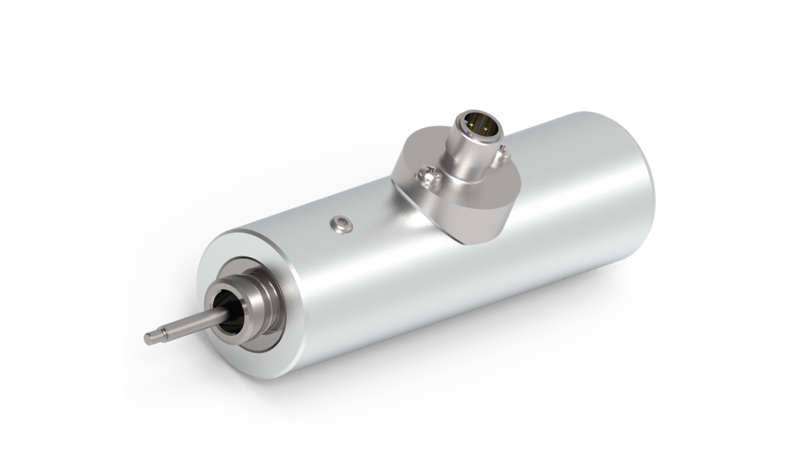 ETO&apos;s LVDTs are electromechanical sensors enabling the contactless measurement of length changes in the range of thousandths of a millimeter. The LVDT, integrated or flanged to a hydraulic proportional valve, detects the position of the valve piston and transforms the position into a corresponding voltage signal. By feeding back the input signal on the solenoid and the output value on the LVDT, the valve position or the flow rate can be regulated, respectively. The contactless wear resistant inductive measurement system guarantees a high precision and a robust function over the complete lifetime. ETO&apos;s LVDTs are perfect for measuring quasi static up to highly dynamic movements and length changes within a wide stroke range. A fine resolution is achieved by a stable and steady characteristic and a small hysteresis. The characteristic curve can be preset or adjusted during operation to the particular application by a potentiometer.